Anya Reading leads the Computational Geophysics and Earth Informatics research group at the School of Natural Sciences (Earth Sciences), University of Tasmania as a Professor in the College of Sciences and Engineering. Her innovative approaches to data science build on a foundation of experimental field seismology in challenging regions such as Antarctica and outback Australia. Special interest areas include interdisciplinary research and public engagement with science, mathematics and interdisciplinary ideas. She is an experienced educator and student research advisor and makes numerous service and policy development contributions to scientific research at university, state, national and international levels. Anya received her BSc (Hons) in geophysics from the University of Edinburgh, UK, and was awarded her PhD from the University of Leeds, UK, for research on subduction zone structure in New Zealand. Following five years in marine and land-based geophysics with the British Antarctic Survey as a Higher Scientific Officer, she joined the University of Edinburgh as a Lecturer in 1998. In 2000 she moved to Australia as a Research Fellow at ANU, being promoted to Fellow (Senior Lecturer) in 2006. She joined UTAS as an academic staff member in 2007, was promoted to Associate Professor in the 2014 round, and to Professor in the 2016 round. Anya founded the Computational Geophysics and Earth Informatics Group within the School of Natural Sciences (Earth Sciences) in 2010. Her group carries out research in both fundamental, global geophysics and in industry-relevant topics with a strong element of technology transfer. Fundamental research areas are focussed on using seismology to form 3D images of the former continents of Gondwana, including Antarctica and Australia. The Antarctic research areas are strongly interdisciplinary, focused on interactions between the deep Earth and ice sheets. Applied research areas are focussed on computational strategies for data-driven knowledge discovery with wide industry and environmental applications. Anya has developed units with student learning objectives to gain knowledge, understanding and practical skills that will serve them as graduate geologists or geophysicists in either industry or research. She has developed student learning using industry-relevant software, and also strengthened the learning trajectory for those students considering a higher degree by research, with Honours students producing publications in peer reviewed journals. She also plays a leading role in creating peer-support and mentoring opportunities for a large cohort of teaching staff through coordinating the Teaching Mentoring Coop for the School of Physical Sciences. Anya's research group specialises in using, and developing, computational strategies for learning from data from the natural, physical world. As such, her research aligns naturally with the UTAS research theme Data, Knowledge, Decisions. This includes a range of approaches from the realm of inverse theory and computational data inference and also informatics approaches appropriate to handling 'Big Data' such as machine learning, data mining and advanced data visualisation. The point of difference of the research that she and her group carry out in the informatics space is the use of the spatial context of input data to improve predictive strength and output confidence. Other relevant research areas include uncertainty mapping and adaptive decision making. Anya's research collaborations and group research topics include innovative seismological techniques, including using ambient seismic energy, to find the structure of the crust and uppermost mantle. Her previous field projects include a passive seismic investigation of the Pilbara Craton and Capricorn Orogen in West Australia and a multi-year field program aimed at understanding tectonic structure and evolution in the southern hemisphere continents focussed on Antarctica. She extends her experience in a wide range of Earth science applications to the development of computational and field techniques in applied and environmental geophysics. Her research therefore also aligns with UTAS research themes Marine, Antarctic and Maritime and Environment, Resources and Sustainability. Anya's international research collaborations include those with colleagues at the University of Utah, USA, the NORSAR Array Seismology Institute in Norway, and the University of Aberdeen, UK. Ongoing research collaborations in Australia include those with colleagues at the Australian National University, CSIRO, Geoscience Australia and state organisations such as Mineral Resources Tasmania, Geoscience Victoria and the Geological Survey of Western Australia. Anya Reading has a track record of pioneering publications, either in field geophysics in remote and challenging regions of our planet, or of innovative applications of computational techniques. She has contributed numerous book chapters, peer-reviewed journal articles and other published output. Anya has served as an Associate Editor for the Australian Journal of Earth Sciences, a Guest Editor for Physics Education, and regularly reviews for all the major international geophysics and computational Earth Sciences journals. Since 2001, Anya has led or co-led numerous research projects funded through the Australian Competitive Grant Schemes (e.g. ARC), Antarctic Science funding sources, and direct, collaborative, contracts with government and industry partners. This funded research includes major deployments of field geophysics equipment in remote and challenging environments and innovative data acquisition and processing strategies. Anya has a strong track record of fruitful collaboration with international and national co-Chief Investigators, and also with investigators from different research areas in interdisciplinary endeavours. This is an agreement relating to the collaboration, operation and management of the ANSIR facility. Anya Reading was appointed Director pursuant to cl 3.15 of the ANSIR Agreement on approx 20/3/15. Accordingly, UTAS is to collect the fees from each member ($5,500: $500 per institution) and a research ledger account is required. The attached Collaboration Agreement has been saved as a financial agreement.Expenditure of the funds is primarily for Travel for members. This project will improve our understanding of the severe ocean storms that impact Australia. Our novel approach will make use of multiple decades of the background 'noise' that is recorded continuously by earthquake seismic observatories, to locate and analyse ocean storms through time, and identify changes in storm tracks. An interdisciplinary interpretation will follow which combines the large body of new results from seismology with data from oceanography and meteorology. The significant advancement in our knowledge of severe storms will benefit Australia by finding out whether such storms are becoming more severe or, alternatively, if storm patterns are shifting. Storm events in ocean areas generate seismic energy. This project uses data from Australian seismic arrays to find the location and severity of Southern Ocean storms through several decades. This adds a vast amount of information for remote regions where there are no direct weather and sea-state observations. The research tests the hypothesis that the Southern Ocean storm patterns in the deep ocean are changing, which has profound implications for the global climate system. The project investigates the variation in wave energy along remote areas of the continent of Australia, over several decades, to inform large scale coastal defence planning and optimise seismic imaging. 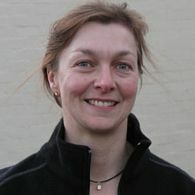 Anya has been an active supervisor of PhD student researchers, since 1998, on topics with a focus on computational geophysics, including informatics and seismology. These projects may include opportunities to undertake fieldwork and/or marine voyages, and may be tailored to career pathways in fundamental science or industry-relevant applied science. Students in the Computational Geophysics and Earth Informatics Group are encouraged to be thoughtful and original researchers, and to develop skills in data visualisation, scientific writing and oral presentation at an early stage. All research within this group includes a significant proportion of computing, using programming languages such as Python and R, and/or GIS and CAD environments. A strong mathematics, computing or physics background is appropriate, together with some Earth Sciences knowledge or demonstrated interest. Enquiries are welcome from prospective Australian and New Zealand students with a BSc Honours Degree (First Class), or International students with a Masters qualification including a substantial thesis or dissertation written in English. The current financial situation for Australian universities means that scholarship places for PhD research are highly competitive.